. : From rollerskiing to skiing in the Gatineau Park this morning! :: Ski XCOttawa.ca :: Skiing in Ottawa and Gatineau Park :. From rollerskiing to skiing in the Gatineau Park this morning! Our plans were somewhat foiled today when the snow started. 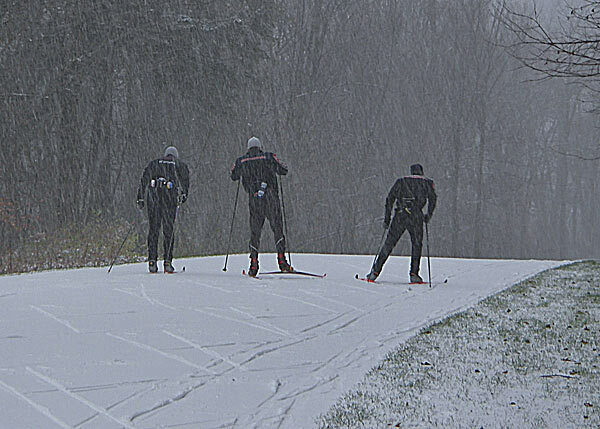 We were already into the warm-up for a skating rollerski time trial when it started snowing hard. The time trial then became a rollerskiing double poling time trial due to the slippery conditions. By the end of the time trial there was enough snow to ski from P10! It was rock skiing, but it was surprisingly good! The coverage was pretty uniform and none of it was melting while we skied. I'm not sure what will last or how the snow will fare overnight, but it might be worth investigating tomorrow morning. Don't believe us? There were several other people out too; Nakkertoker Masters Alan Cameron and Gatineau Park photographer extraordinaire Jo-Ann Holden, Carleton skiers Linnea Rudachyk and Kate Scallion along with xczone's Lise Meloche, Dave McMahon and kids. 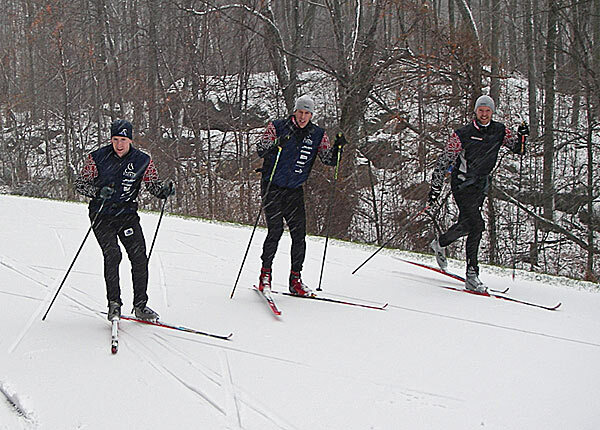 XC Local: Photos of great skiing in the Gatineau Park - Dec 2nd! Ottawa-Gatineau: New Recreational Trail on the Wakefield Train Corridor? Waxing Tips: Vauhti Waxes we use most often.